“The Smallest Catch: Children Between Two Nations” Review 42.1 (2009): 21-30. 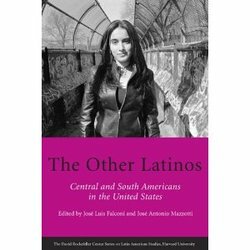 Los “nuevos" latinos y la globalización de los estudios literarios” Más allá de la ciudad letrada: Crónicas y espacios urbanas. 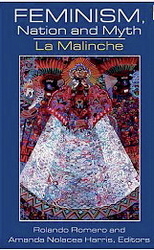 Boris Muñoz y Silvia Spitta, eds. Pittsburgh: Instituto internacional de literatura iberoamericana, 2003: 439-459. “Borders, Identities, Objects”. Border Poetics De-limited. Ed. Johan Schimanski and Stephen Wolf. Troll, 2007. Pp. 115-48. “Latina or Americaniard?” Revista canadiense de estudios hispánicos 30.1 (2005): 47-59. “Anzaldúa and Transnational American Studies” PMLA 121.1 (2006): 260-5. “Transamericans: I call it New Orleans.” Contemporary Women’s Writing 1.1-2 (2007): 98-117. “’¿Te has desmaterializado ya?’ González Viaña’s Los sueños de América.” In The Other Latinos: Central and South Americans in the United States_. José Luis Falconi and José Antonio Mazzotti, eds. Cambridge, MA: David Rockefeller Center for Latin American Studies, Harvard University, 2007. Pp. 177-192. "Interview with John Rechy." 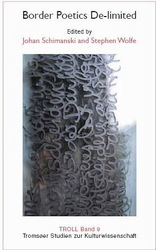 Diacritics 25.1 (1995) 113-125.